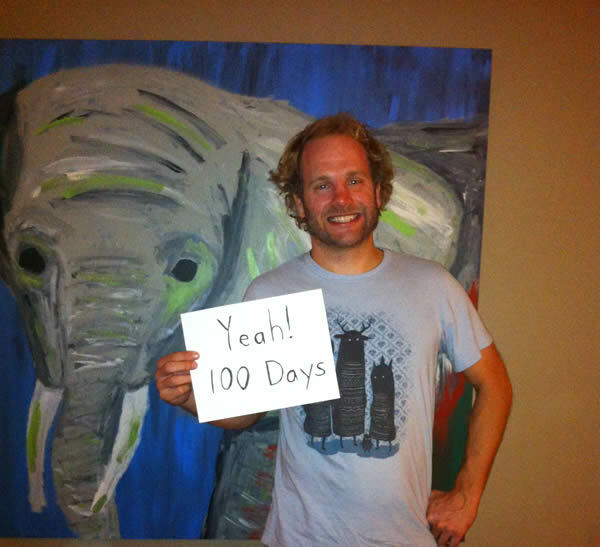 Yeah 100 days of yoga 308! I kind of forgot until I started to write my blog, but I really did want to celebrate the 100th day of this experience. 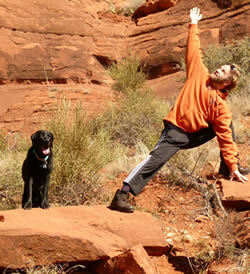 I guess this best thing I could have done was forget about it, stay in the present, and do some yoga today. This is probably my best thing I have learned throughout all of this. The hardship and trials of living in the present. Breathe! My 100th day of yoga 308 was the added Dharma class with Kelly Senn at Orlando Power Yoga. It was nice to get back into the Dharma series. I had 4 straight days of Ashtanga so it was kind of nice to switch things up a little bit. Thank you Kelly for adding this class! I have been noticing an expression on my face during a lot of my poses where my eyebrows raise up and cause my forehead to tense. It is almost a concerned look (best way I can describe it). I feel that I am holding stress in my forehead. This seems like such a simple thing to change, but I hold this in a lot of poses. So today I was saying to myself in a lot of poses, "Relax my forehead." We live our lives to a routine. If our lives are used to holding stress, it is very hard to change this routine. We learn to just live our lives with this stress. Some people actually thrive on this stress or discomfort to get through their daily lives. It is our bodies and our minds that hold on and decide what to do with this stress. If we pinpoint where or why we hold this stress we can start to relieve it. We can look to change our ways to try to diminish and lower our stress. My forehead wrinkle seems like such a simple change. The more stress we release and diminish in our lives, the more love we can fill those spaces with. We can then fill the world with the love we all are intended to both give and receive. Our hearts will always have room to grow. Do we continue to fear a change and keep our routine? Or do we start to dissect our lives and look into ways to remove our stress and let our hearts fill more and more with love, happiness, and joy? It is amazing that after 37 years in this world I just now saw myself holding this stress in my forehead. Just a reminder that the reflection in your mirror is always changing, and can always grow. Simple changes in ourselves are where we begin. These simple changes may be the hardest things to change about ourselves if they have been in our routine our whole lives. They also may be the key to changing our lives for the better.